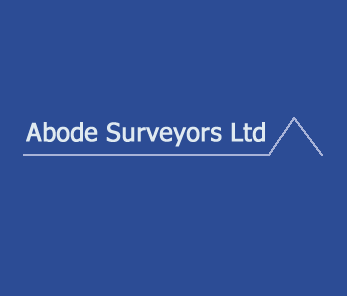 Abode Chartered Surveyors are a firm of experienced Chartered Surveyors based in Newcastle and Northumberland. We cover the areas around the North East of England to the Scottish borders. Our practice is regulated by the Royal Institution of Chartered Surveyors (RICS) and each of the surveyors working for us has over 20 years of experience. From individuals to large, international companies, we have experience working with a wide range of private clients and organisations. At Abode Chartered Surveyors we are proud to give our clients an individual service. It is our objective to work closely with our clients to identify their specific requirements and provide a service that meets their needs. We are a strong, committed team, specialising in residential property to offer helpful, detailed advice founded on extensive experience and knowledge of the housing in the area. Buying a property is a significant financial decision, so make sure you get a detailed house survey from a RICS-registered Chartered Surveyor to advise you on any potential problems or structural work needed. Our professional reports will ensure you are paying a fair price for the property and supply you with the information, and confidence, which may enable you to negotiate on the purchase price. We are Chartered Valuation Surveyors, meaning that we are the best regulated and qualified professionals in the valuation field. We have undertaken a wide variety of valuations and our expertise has allowed us to successfully assist our clients in reducing their purchase price. So should this be something that you require, please do let us know. The RICS HomeBuyer Report is a simple, easy to read report that will rate the general condition of the property. Building Surveys are appropriate for all buildings, but most notably older buildings, properties with non-standard construction or extended or altered buildings. This survey type is a detailed, non-intrusive investigation of a building and the report will comment on specific defects and provide guidance on maintenance and remedial work. Whichever survey you select, we will be with you at each stage to ensure you are fully up to date and aware of the structural condition of your new property. We are available to discuss any concerns you may have. We can also provide you with a detailed Schedule of Condition of a building, Energy Performance Certificates and a wide range of additional property and surveying services, including Home Reports for those selling a property in Scotland. For effective advice and a personalised service, contact us at Abode Chartered Surveyors today to discuss your property requirements and see how we can help you. Very friendly and helpful. Ensure I wasn’t buying more services than I needed. clear and understandable report. The service I have received from Abode so far has been nothing short of superb. The survey was arranged virtually the very next day, initial feedback was provided via phone the afternoon of the survey itself and an extremely comprehensive report followed around a week later. I ended up pulling out of my purchase following Alan's advice and the full report, so have returned to viewings and I will absolutely being using Abode's services again for when I find something else. Alan and Jo have been a fantastic source of advice and guidance on what to look for and particular areas of the city to look in. I would not hesitate to recommend Abode's services to anyone, especially if - like me - they are finding the house hunting/buying process slightly overwhelming, and - in the face of manipulative/misleading agents and sellers - would like to have an experienced, knowledgeable team on THEIR side and working for their best interests. All this, and they were able to conduct a full Building Survey for less than HALF what my conveyancing solicitor wanted for the same service. Fantastic. The only thing this company did efficiently was collecting their fee. We are so sorry that in this instance the client felt that our service level was not achieved. We do recognise that occasionally there are many more defects associated with a property than the client previously envisaged, and this can be a real disappointment. In this instance the Chartered Surveyor did spend time (60 mins plus) talking through the defects on this property directly with the client on site, on the day of the inspection, before even writing up the report, and we are sorry and surprised that this was not found to be of value. We did not charge for this additional face to face feedback, but will review our process to see if we can do this better in any way. Our 48 page report was delivered 2 days later than anticipated, and for this we apologise. We do send a sample report to clients in advance, so that they understand the format, strength and scope. The delay was in part due to transcription staff being on holiday, and also partly due to the care and consideration that the Surveyor needs to take over the report, with so many and various defects discovered. We are looking carefully at our engagement methodology, to ensure that clients are made aware of the process and timescales involved at the outset, particularly with older period properties which are more complex in terms of recording and reporting. We regret that this instruction was perceived to be sub-standard in terms of service and value, and we will be reviewing our processes.